After back-to-back launches last weekend, SpaceX could launch its next Falcon 9 mission as soon as Sunday from NASA’s Kennedy Space Center in Florida with a high-power Intelsat communications satellite. Liftoff Sunday will hinge on the ability of SpaceX’s launch team to prepare KSC’s launch pad 39A for another flight after the successful June 23 blastoff of a Falcon 9 booster with the first Bulgarian-owned communications satellite. 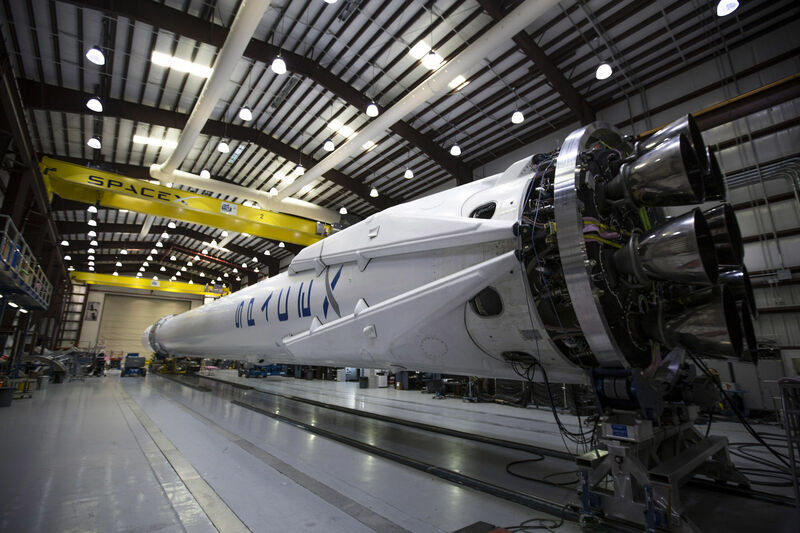 A customary hold-down hotfire test of the Falcon 9’s nine Merlin 1D engines is scheduled as soon as Thursday. An Intelsat spokesperson confirmed Tuesday that Sunday’s one-hour launch window will open at 7:36 p.m. EDT (2336 GMT). If the flight takes off Sunday, it will be the third SpaceX launch in a little more than nine days. The Boeing-built Intelsat 35e satellite, designed for broadband data delivery, Ultra HD television broadcasts, and services for mobile and government customers, will be the payload on Sunday’s mission. Intelsat 35e is the fourth satellite in Intelsat’s Epic series featuring a fully digital communications payload that can be reconfigured by controllers on the ground for quick response to market demands. Intelsat 35e will replace the Intelsat 903 communications satellite at the operator’s 34.5 degrees west position in geostationary orbit, where a spacecraft’s velocity matches Earth’s rotation, allowing a telecom station to remain over a fixed location. Intelsat 903 launched in March 2002 aboard a Russian Proton rocket. 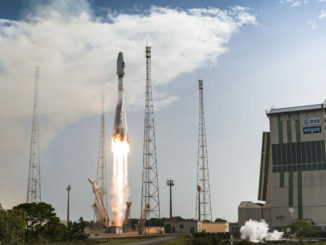 The satellite will provide trans-Atlantic communications links, reaching customers across Latin America, the eastern United States and Canada, Africa and Europe. SpaceX is coming off a pair of Falcon 9 launches from Kennedy Space Center and Vandenberg Air Force Base in California. The back-to-back flights, which took off Friday and Sunday, respectively, both included landings of the Falcon 9’s first stage booster on a drone ship at sea. 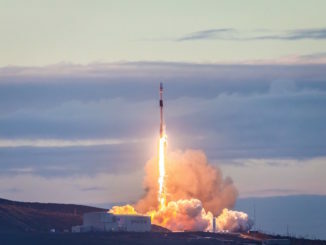 Friday’s launch from Florida with the BulgariaSat 1 television broadcasting satellite used a previously-flown Falcon 9 first stage, while Sunday’s mission from Vandenberg was powered by an all-new rocket. Intelsat’s flight Sunday will also use a newly-manufactured booster. The heavy weight of the Intelsat 35e satellite is expected to prevent recovery of the first stage Sunday. 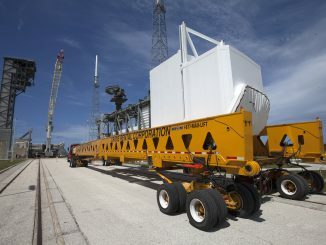 SpaceX will take a longer break between launches after the Intelsat flight, with the next Falcon 9 mission scheduled for no earlier than Aug. 10 from Florida with the company’s next Dragon resupply craft for the International Space Station. That will be followed by at least two more Falcon 9s later in August, one more from Florida with the fifth flight of the U.S. Air Force’s X-37B spaceplane, and a mission from Vandenberg with Taiwan’s Formosat 5 Earth observation satellite.